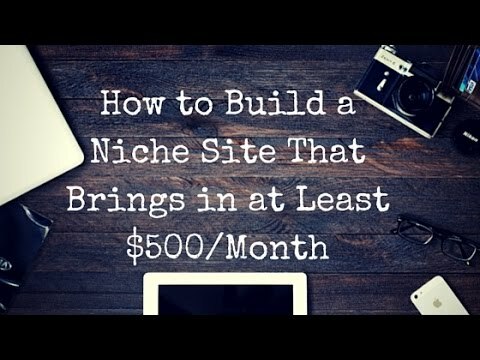 In vlog #9 I show you step by step how to create an affiliate niche site that will bring in $500 a month. Step #1: Write out as many niche site ideas as you can, using your interests as a starting point. -Are there affiliate programs with good commissions? -Are people currently making money? -Could you write 100 articles on the topic? Step #7: Install Yoast SEO for WordPress and do on site SEO for all posts and pages. Also review “The Backlinking Strategy that Works.” Some of this borders on the spammy realm, but pick and choose what you like. I used a lot of these general concepts when I got going with my first niche site.